Looking for something to do with your Instagram prints? Use spray paint to transform a used frame into a tiny treasure. When it comes to last-minute gifts, look no further than your Instagram account. Use your favorite prints and a stylish DIY frame to create beautiful gifts and charming decor for your home. 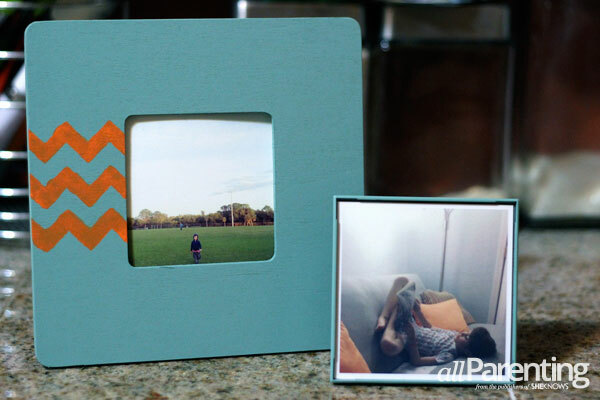 Follow our simple DIY picture frame tutorial and you're good to go. If you're giving a gift, consider the giftee. Grandparents love photos of the kids. Your girlfriends will love charming black and white photos of tree branches or photos of wildlife. (Birds are always popular.) Send Instagram photos directly from your phone to your local Walgreens for pickup in about an hour, or plan ahead of time with a service like Prinstagram. 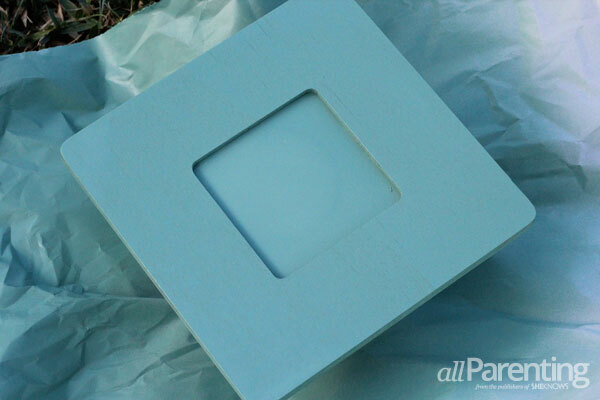 DIY picture frames are all about finding diamonds in the rough. Visit your local thrift store and search for square frames. Look for smooth, easy-to-paint borders. Wood, metal and ceramic are all easy to paint. Avoid very rough textures and raised lettering. If you can't find thrift store frames, visit your local craft store for wood frames that can be found for about $1. Keep in mind that inexpensive wood frames will have a rustic, distressed look when spray painted. This is the fun part. Spray paint is more popular than ever right now, and as a result there are dozens of great colors to choose from. Stick to a satin finish — it's more forgiving. If you're doing an accent pattern, look for acrylic paint in a color that works well with your base color. Think about trendy combinations like teal and orange or red and gray. While you're purchasing paint, pick up a box of disposable gloves to avoid inevitable paint on your hands. Craft stores have a huge variety of stencils. If you're working with a frame with a broad, flat surface, use a stencil to add accents or a pattern. Never use spray paint indoors. To minimize mess, spread newspaper in your yard and use cans to prop up the frame and weigh down the paper. If you're sensitive to fumes, you may want to use a mask when spray painting. The key to smooth spray painting is patience. Using paint that has been kept at room temperature, slowly and evenly spray a single coat. Let it dry for 30 minutes and paint your second coat. Stenciling is a little trickier. For best results, use tape to secure your stencil after the spray paint has had at least 24 hours to dry. 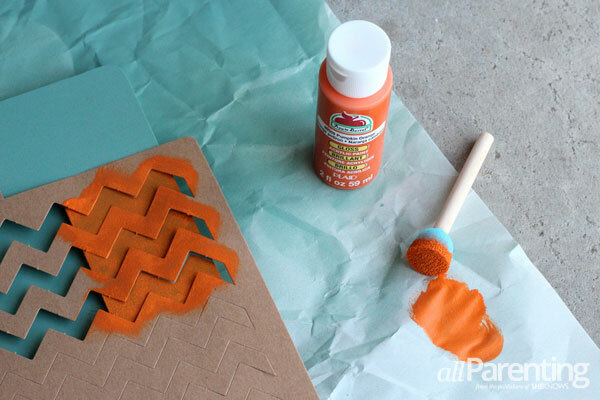 Using a foam brush, lightly press the paint without rubbing side to side. Got the hang of it? Here are a few things you can do with your own custom Instagram frame ideas. 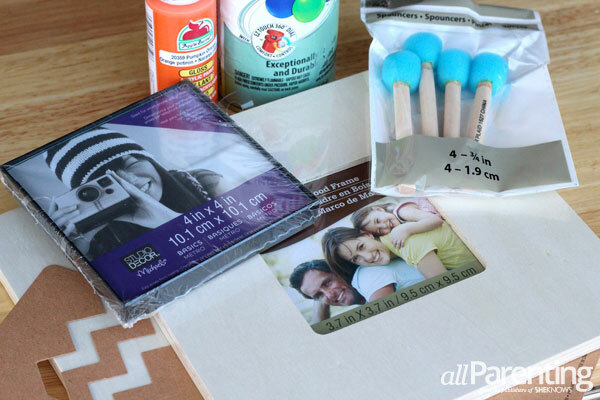 Holiday gifts — Create matching frames with photos of your children for their grandparents. Teacher gifts — Take a candid photo of the whole class and share it in an apple-red frame. Mantel decor — Match your Instagram frames to your home's color scheme. Shelf decor — Tuck dainty Instagram prints on shelves. Try unique landscape photos. Wall art for kids — Take photos of your kids holding cardboard letters to spell out a name with several frames.